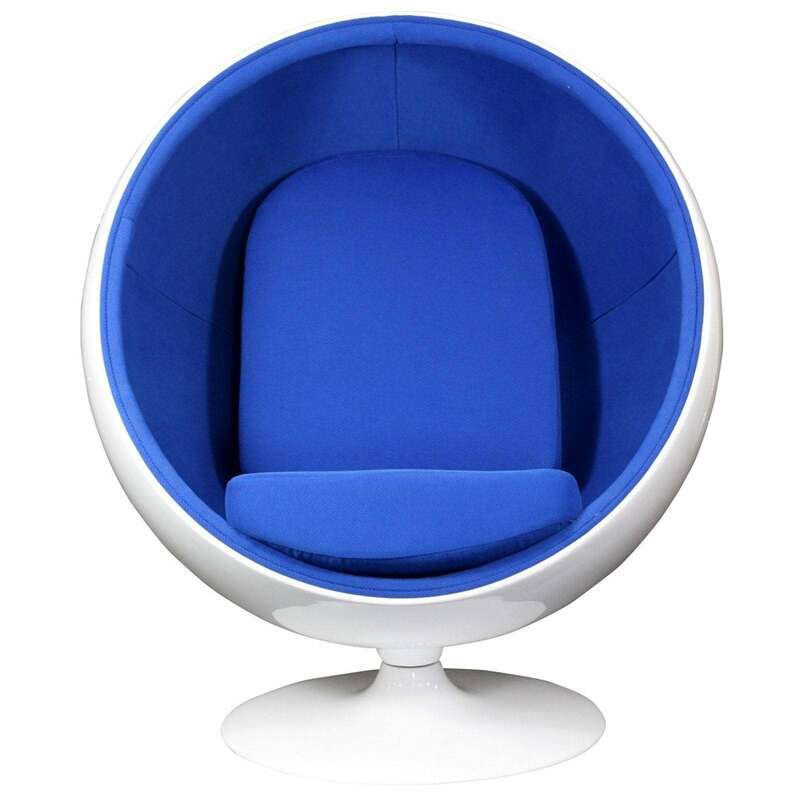 This retro lounge chair resembles a space-age pod creating a spark of interest in anyone who sees it. 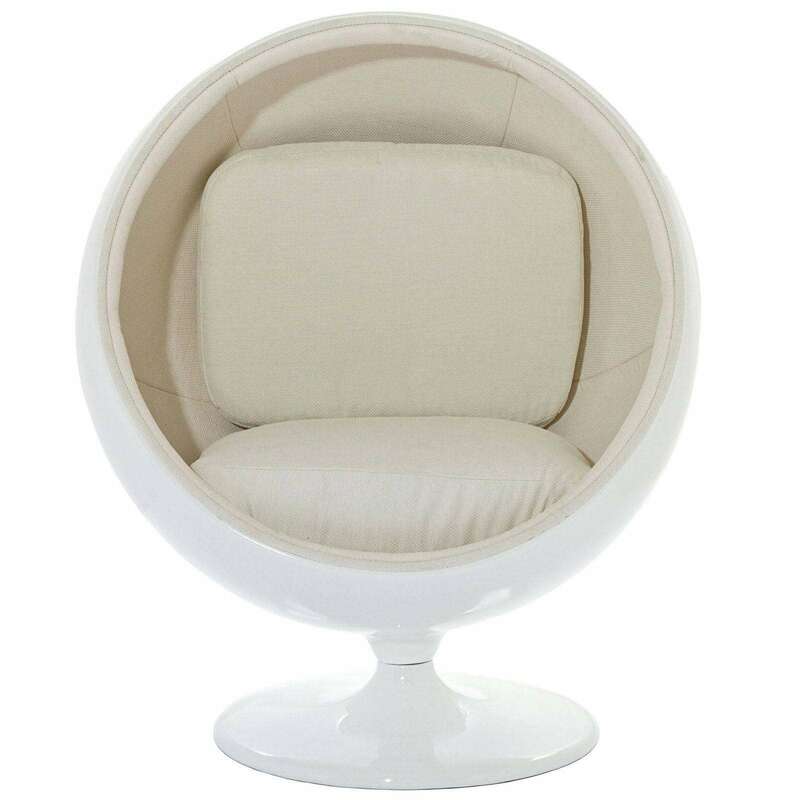 The fabric lined inner shell offers a sense of privacy and retreat as you relax into the plush cushions. 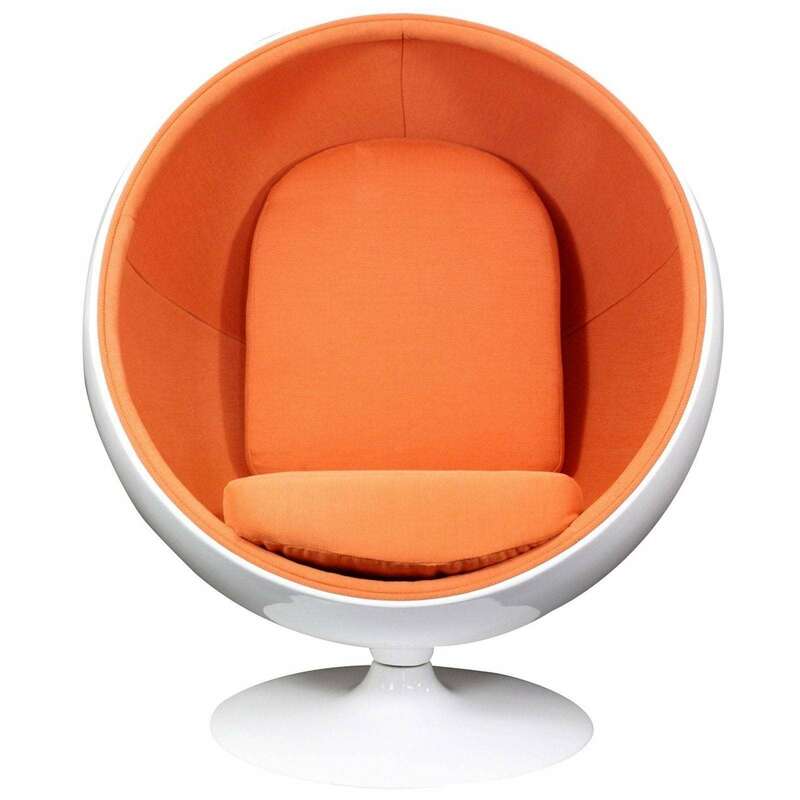 Its exterior is a wonder; a molded fiberglass shell and matching fiberglass base with an integrated swivel mechanism. 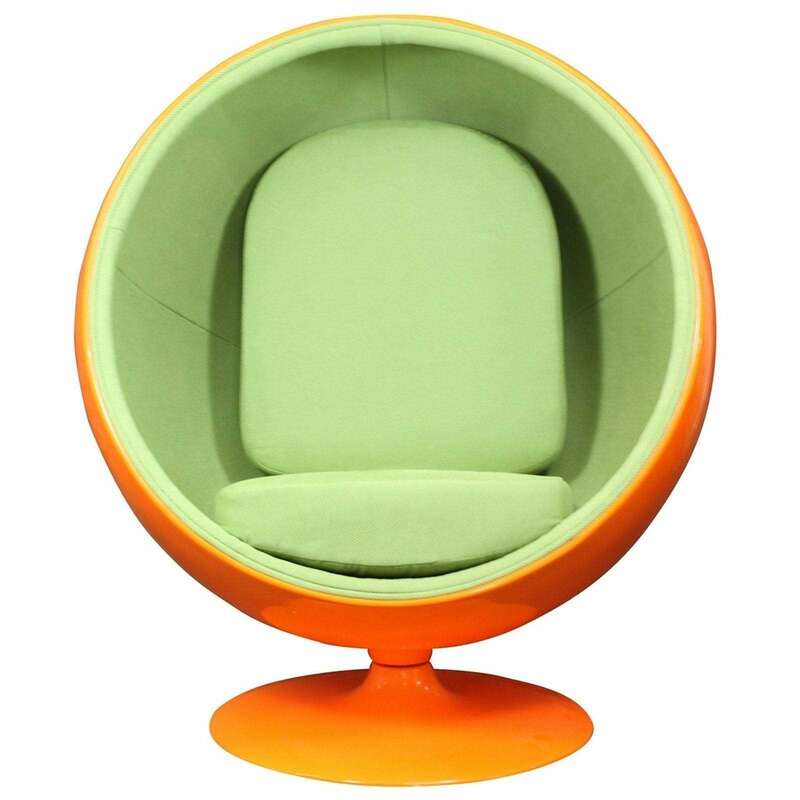 This is a high quality reproduction of the original. 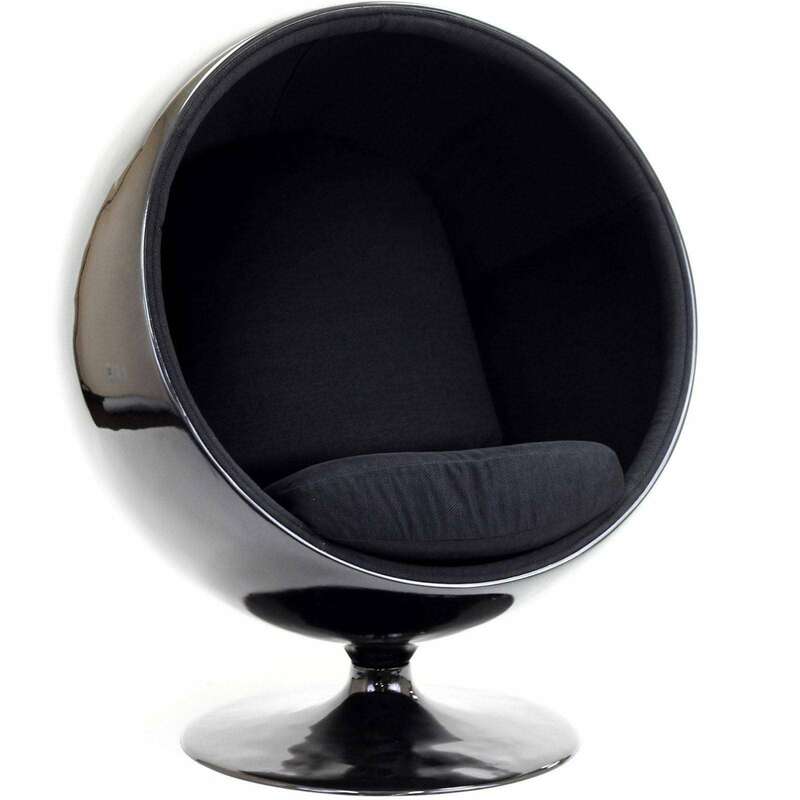 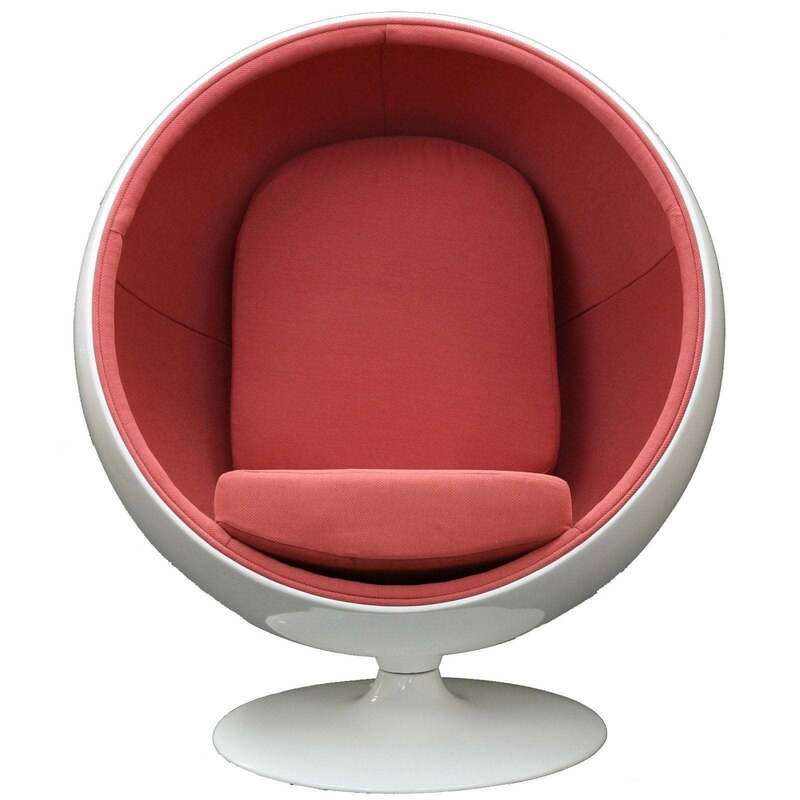 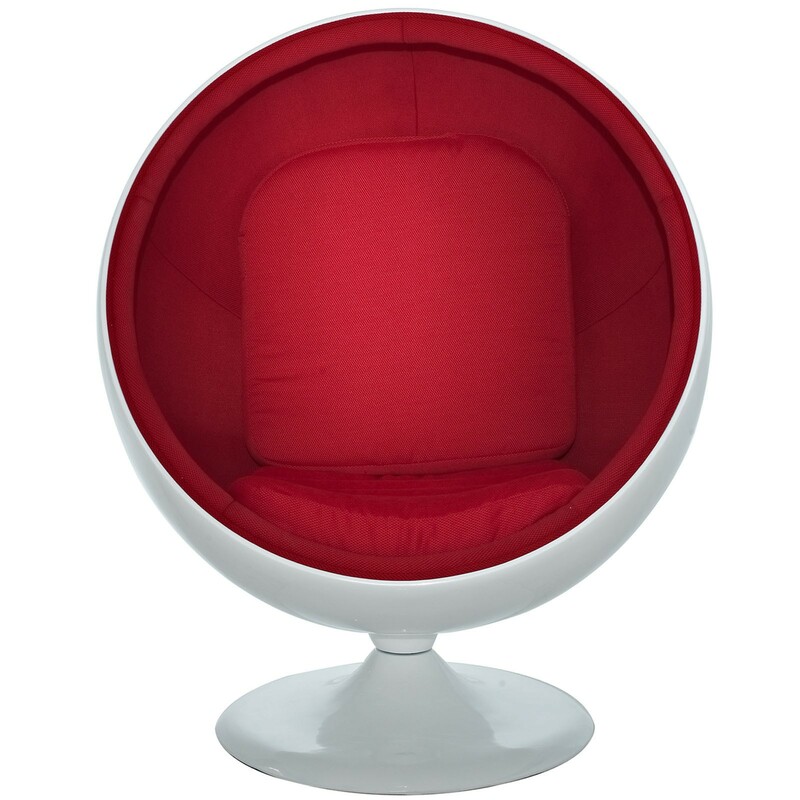 The Ball Chair is everyone's choice of chair within the household. 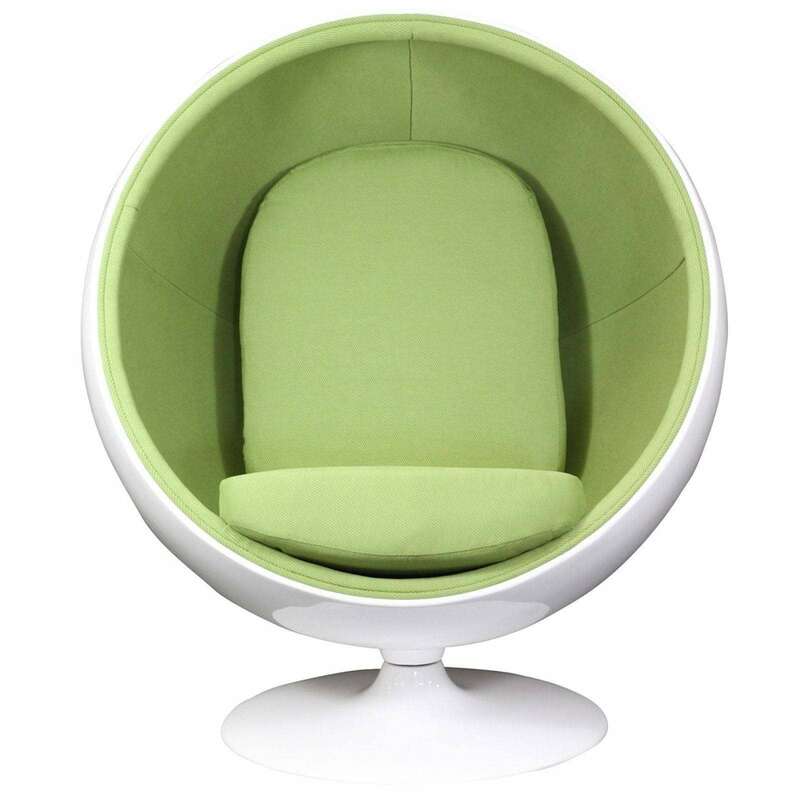 Very HAPPY!